Who: You, your friends and family. The more, the merrier. What: Please join us at our annual Family & Friends Easter Egg Hunt. We’ll have coffee, juice and donuts for everyone as well as crafts for the kids and an easter bunny. The famous Cajon Classic Cruise Car Shows are back again! One of El Cajon’s premier events is back again this year for another stay in the center of Downtown El Cajon on the Prescott Promenade. Thousands of people from all over Southern California visit this display of classic cars from all over. Join us Wednesday evenings to view the best of classic cars. There are great restaurants along the street, so why not take an evening to join in the fun? Hop on over to Grossmont Center for Easter fun for everyone! Join us for FREE kid-friendly Easter activities and search the mall for eggs filled with special surprises including special store coupons, candy and small toys! Hunt for eggs at all store and restaurant locations! Pick up your Easter bag from Guest Services and collect Easter Eggs while supplies last. We hope to see you in your Easter Best! – What’s going on in East County this week? 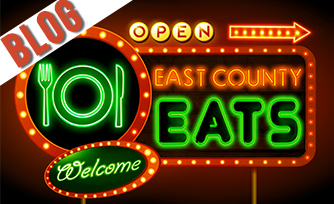 Hey guys, it’s Kyle Whissel with Whissel Realty Group and everything East County, where our goal in this show is to help you learn about the cool restaurants around town, some fun facts about East County that you maybe didn’t already know, and what kind of events are going on in the community. And that’s what we’re going to focus on for today. So I want to talk to you about all the cool stuff we’ve got happening. 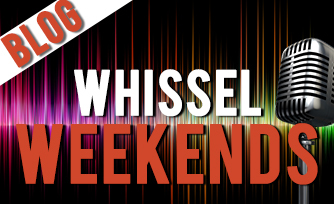 This weekend, on Saturday, you’ve got two big events going on. You’ve got the Lake Jennings Spring Carnival. Should be a really good time. Obviously, you’ve got a carnival going on, you got some fishing, there’s stock in the lake with a ton of trout, and they’re also going to have an Easter egg hunt out there, so great opportunity in East County. Also, Whissel Realty Group is having our own Easter egg hunt. So if you’re watching this video, you’re invited. We’re going to have ours at Civita Park in Mission Valley. Should be a really good time. 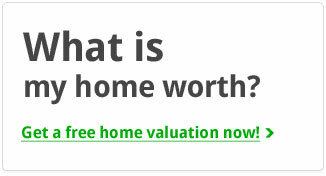 We’ll have the Easter Bunny out, a bounce house, all of that fun stuff. And if you want to get details on this event or any of the events, you’re just going to comment below. We’ll get all those details over to you. Both of those are happening on Saturday. Sunday, you got another Easter egg hunt. It’s called the Spring EGGstravaganza. That’s happening at Santee Lakes, it’s probably one of the biggest Easter egg hunts in all of East County. So good times out there. If you guys have never hung out at Santee Lakes, tons of fun stuff there, go ride bikes, you can go kayaking, paddle boats, fishing, running, just a good time out there. So definitely check that out. That’s happening this Sunday at Santee Lakes. Another fun event happening in Santee, I got to play in this last year, I’m going to be out of town for it this year, but they’ve got the 6th Annual Kickball Tournament at the Sportsplex. This is always a fun event. A lot of the East County businesses come together and put teams into this, so a very good time. Sportsplex, another really cool place to check out. They’ve got soccer leagues there, they’ve got softball and hey, they’re going to throw a little kickball tournament as well. And they’ve got food, they’ve got drinks, batting cages, super cool place. So definitely check them out. 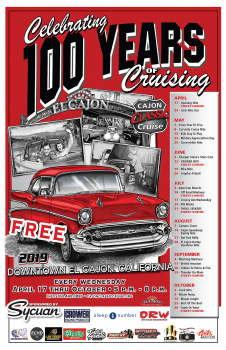 Also starting on Wednesday is the Cajon Classic Cruise night. This is a super fun event if you’re into classic cars. They shut down Main Street in El Cajon. Everybody pulls out there with their cool cars. You can go cruise around, talk to all these gentlemen and ladies that have these awesome cars, and learn about their cars and the history behind them, super fun. And you know we love to eat. There’s a lot of awesome restaurants in downtown El Cajon, so make sure to check that out. And then last but not least on this first episode, you got another Easter egg hunt, because it’s that season. So you got an egg hunt that’s happening at Grossmont Center on Saturday the 20th, so check that out. If you’re looking for an Easter egg hunt, we got a lot of options here for you. Kickball tournament, we got the Classic Cruise, we’ve got all that fun stuff. Just comment down below; we’ll get you all the details. That’s what’s going on in East County this week.